A novel heterogeneous catalyst, amorphous Cu0 on the carbon nanofibers was developed and characterized by means of several characterization techniques. The prepared Cu0 was investigated as a heterogeneous catalyst for N-arylation reaction. The results show it is an excellent catalyst with recyclability, high consistency and catalytic activity. 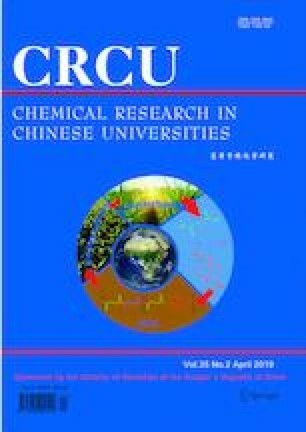 After the catalyst was used for 5 cycles in the N-arylation reaction, amorphous Cu0 reunited into crystalline copper nanoparticles with different particle sizes and its good heterogeneity in the catalytic system was confirmed after the catalyst recovery. Supported by the National Natural Science Foundation of China(No.21766022).